The timing of the event could not have been more auspicious as it came on the heels of the just concluded COP 21 Climate Change Conference in Paris, France. About 150 students from various institutions of higher learning all over Nigeria gathered at the MIS building in Adeyemi College of Education, Ondo State. 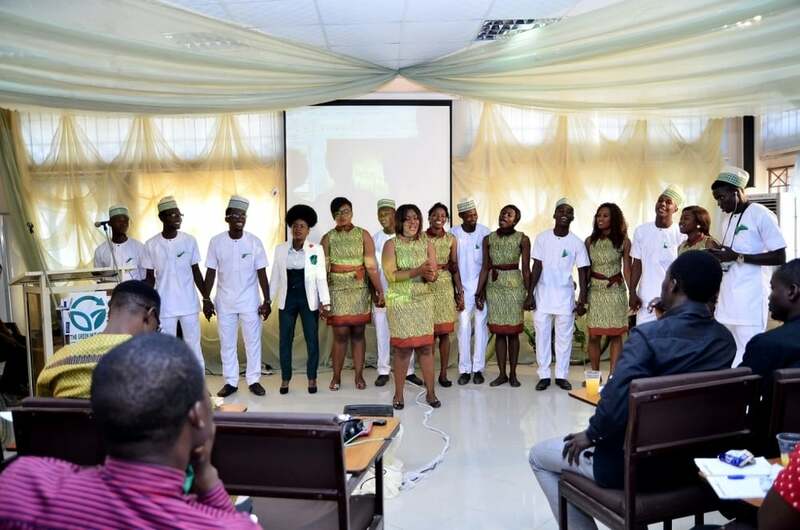 They were there at the behest of the Green Initiative located at the Adeyemi College of Education (ACE) for a program known as the Green Ambassadors Training (GAT) which took place on the 15th of December 2015. 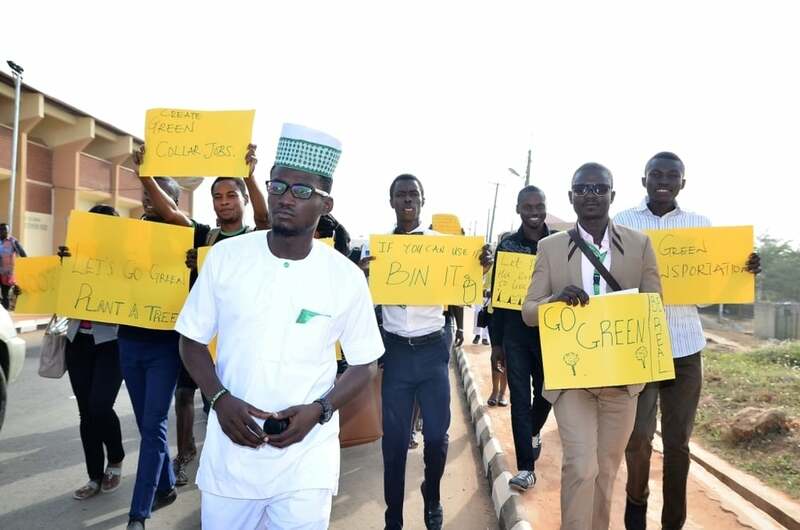 Green Ambassadors Training (GAT) is an innovative initiative that is designed to train youths to adopt the “GO GREEN” ideology to enable them become agents of positive change to their community, nation and generation. 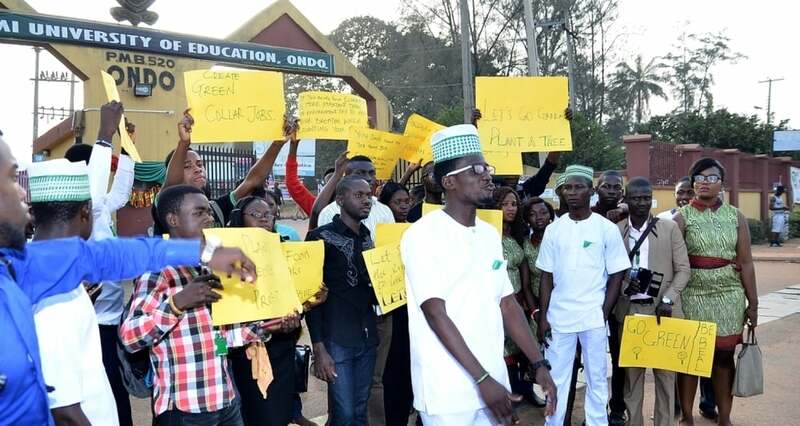 The purpose of the exercise is to educate, engage and enlighten young people on what and how to GO GREEN as well as equip them with the requisite tools to practically transform their various campuses. 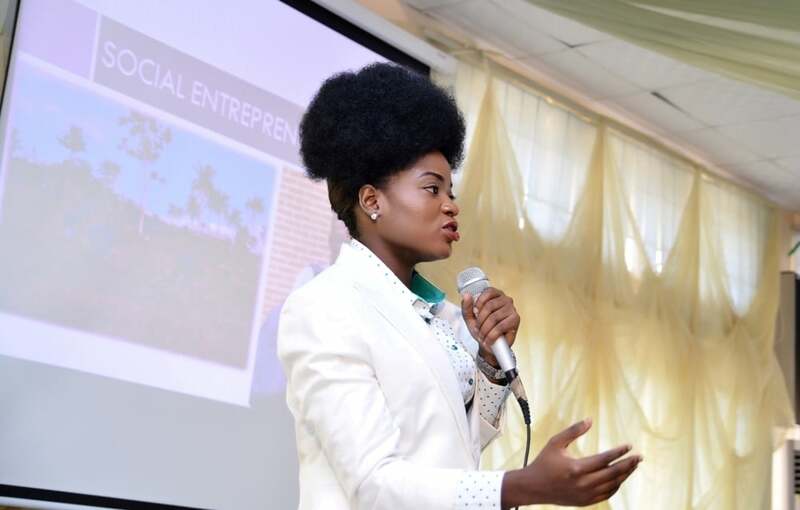 Participants who were fortunate to be shortlisted from a pool of people that registered on the initiative’s website (www.greenthecampus.org), were subjected to intensive training on several topics of relevance by experienced speakers within and outside Nigeria. The speakers were Prof Bryon Price from Baruch College, New York City, who talked about recycling and how it can be a steady source of income. 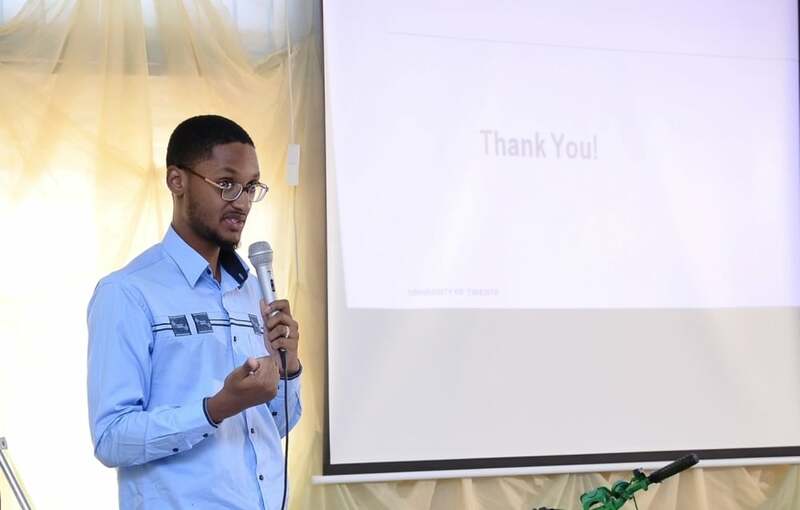 Prince Akinwale Ojomo, the CEO Diaspora Innovation Institute, talked about social entrepreneurship using creative and innovative ideas to solve the immediate problems in the society. Mr. Kayikunmi Stefan Sogo from the University of Twente Netherlands enlightened the trainee on Renewable energy and focused on solar as an alternative source of energy serving homes and companies. He talked about his research of floating PV on the Kanji Dami. Mr Olayinka Ojo spoke on using art to promote campaign ideas and advocacy. 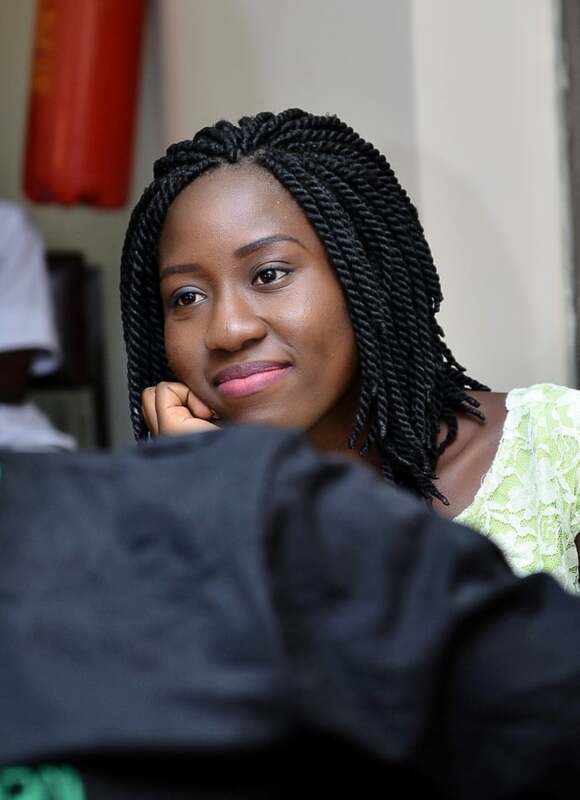 Adenike Akinsemolu, the founder of the Green Campus Initiative elucidated on the core idea and mission of the Green Campus Initiative. According to her, “Going Green is not just about climate change, but living a healthy and happy life which implies that you do not hurt yourself, the people around you and your environment.” She also emphasized the need to raise eco-conscious kids who would be thoroughly oriented about their roles in keeping the ecosystem stable and healthy. She charged the participants to take the Green pledge and thereafter introduced the Green Ministers. The event also featured some entertainment which included a dance display by a dance group and a performance by PDP (Purpose Driven Poets not the Peoples Democratic Party) comprising of poets Temitayo Bankole, Nifemi, Caleb, Odunayo and Succulent. They serenaded the audience with spoken word poems on the need to GO GREEN. At the end of the training, participants were appointed as GREEN AMBASSADORS and issued certificates OF GREENESS. Adenike Akinsemolu rounded off the session by telling the new ambassadors to replicate all they have learnt in their schools and communities. The newly inducted GREEN AMBASSADORS began executing their mandates by undertaking a community service round the campus. They also paid a courtesy visit to the Provost of the college and the number one green ambassador, Prof. Olukoya Ogen whose support for the Initiative has been extraordinary to say the least. He received them warmly and charged them to be good ambassadors of the program. The Green Ambassadors Training is a laudable initiative that should be promoted and replicated in other parts of Nigeria and Countries in Africa as the world transitions into a new paradigm of sustainability, through the adoption Green Ideologies and technologies. Other institutions should borrow a leaf from Adeyemi College of Education (ACE) under the leadership of the amiable Professor Olukoya Ogen who has demonstrated visionary leadership in endorsing and assisting the initiative. Government MDA’s (Ministries, Departments and Agencies) at all levels, Individuals, International Organizations and corporate entities should support the Green Campus Initiative because it needs all the help it can get at this point in time. The Green Campus Initiative is an idea whose time has come thereby all hands must be on deck to ensure that the initiative transcends ACE by embarking on the training of more Green Ambassadors next year.